The CleanLight Water Purifier Pro 75 ensures clean and fresh water without funguses, bacteria and algea. Suitable for pools up to 75.000 Liter. 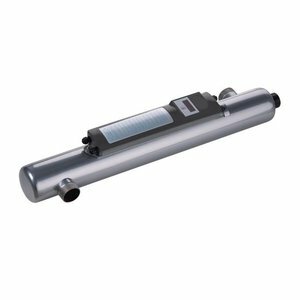 In the CleanLight UV-C Water Purifier Pro 75, a UV-C radiation with a wavelength of 253.7 nm is generated by the special UV lamp, ensuring a lethal effect on bacteria (including Legionella bacteria). The CleanLight UV-C Water Purifier Pro 75 will ensure that your pool water is clean, fresh and clear in an efficient and environmentally-friendly manner. 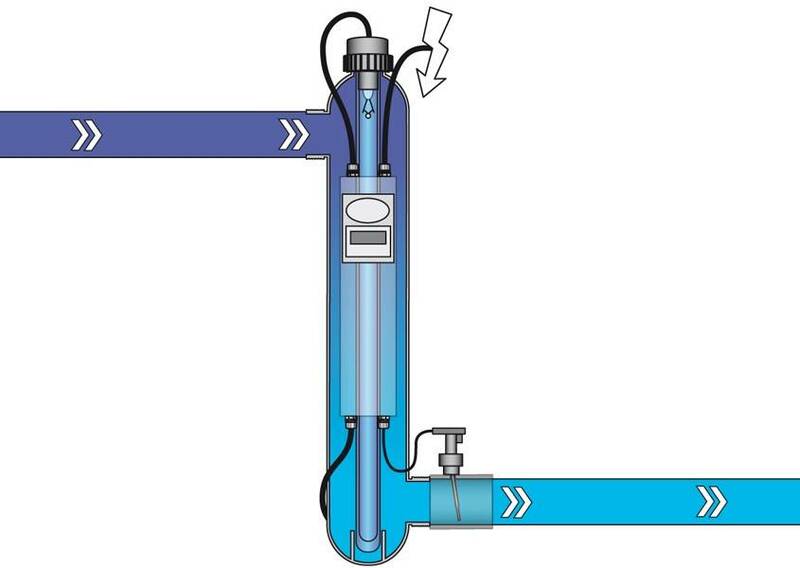 The water is led through the UV-C device via a pump. The UV-C radiation neutralises bacteria, viruses and other primitive organisms and stops them from multiplying. The CleanLight UV-C Water Purifier Pro 75 has a built-in high-frequency electronic ballast, which absorbs current fluctuations, thereby protecting the lamp. Thanks to the CleanLight UV-C Water Purifier Pro 75, your swimming pool water will be disinfected efficiently and safely, and the quality of your water will remain excellent. This CleanLight Water Purifier Pro 75 can be used for disinfecting water in pools, ponds or other installations. In this way it can be kept free of fungi, bacteria and algae. UV light has been used for decades to disinfect or decontaminate hospital rooms, the CleanLight Water Purifier Pro 75 is a simple solution for medium sized pools to keep it free from bacteria, fungi and algae.